I have had the honor to serve as State Representative for LD 9 since 2015. I am also a physician, surgeon and professor of surgery at the University of Arizona College of Medicine, right here in Tucson. As a legislator I believe it is the state’s responsibility to ensure the core values of equality, opportunity (including equality of opportunity), and safety are reflected in its actions. During my tenure at the legislature I have worked to support appropriate funding for Arizona public schools. I will continue to make appropriate funding and support for our public schools a priority if re-elected in 2018. I also stand for a woman’s right to make her own healthcare decisions, responsible gun safety legislation, access to quality healthcare, the ability of cities and towns to self-govern without undue preemption from the state, the protection of our environment and natural resources, ensuring that exercising the right to vote is not restricted. Yes, I support teacher pay increases. I did not, however, vote for Gov Ducey's fiscal 2019 budget because it did not do enough for our public schools. I believe the state could have done more for our schools specifically, increasing salaries for classified staff (non teachers that keep our schools running), ensure adequate funding for the repair of our aging school facilities/buildings, and limiting the practice of spending public money (your tax dollars) on private schools. Our public schools deserve a dedicated revenue source. For the next fiscal budget I would support creating a dedicated source of revenue for the District Additional Assistance (DAA) formula. Over the past several years DAA has been cut by 85% for our district schools. This year the budget replaced some of that cut funding. However, the source of that funding is still the general fund, meaning that it could be cut again at any time. Although the larger share of public school funds would still come from the general fund, protecting DAA with a dedicated funding stream separate from the general fund would be a good start in meeting our students needs in the classroom. No. Charter schools have a separate set of rules from district schools. Both schools are funded by public money (your tax dollars). I believe more transparency and accountability on how funds are spent in our charter school system is needed. I support laws that promote gun safety and responsible gun ownership. These laws would include raising the age limit to 21 for all gun purchases, banning bump stocks, and a system of comprehensive background checks for all gun purchases. I believe that a system of comprehensive background checks for all gun purchases would decrease gun violence in two ways. First, a background check prior to every gun purchase would make it incrementally more difficult for a person prohibited from possessing a firearm from having easy access to one, while at the same time not impeding the ability of a law aiding person from exercising their right to purchase/own a firearm. Second a background check with every firearm purchase would protect the law aiding gun owner from unknowingly selling a weapon to someone who means to do harm with it. Increase the number of school counselors. Trailed professionals could help identify students at risk to commit school shootings. Counselors could also serve as a responsible adult that students could go to when they are experiencing trouble or when the feel that a friend or another student may be having emotional symptoms. Increasing counselors may lead to preventing school shooting. No. In general would not support decreases in state revenue until we are fully funding our public schools. I think that recreational marijuana legalization is reasonable but I believe that the age of consent for recreational marijuana use should be over 25. Scientific evidence supports that the adult brain is not fully developed until age 25 or older. Marijuana likely has a negative effect on the developing brain. Arizona laws are too restrictive on abortion rights. Abortions are safe. Arizona laws on abortion access actually limit a women's right to choose what happens to her body by making it more difficult to access abortion services. Arizona should work closely with the other lower basin states to ensure that our interests are protected as renegotiation get underway on river water allocation. I believe that when state government properly supports infrastructure in Arizona (roads/highways/railways, technology growth, water conservation, as well as K-12 education and our Universities) small businesses will prosper and corporations will expand in Arizona creating job growth and a robust economy. I support the voter referendum to repeal expansion of the voucher program. As a state, Arizona has no role in securing the international border. Arizona should focus on creating trade/business opportunities with Mexico. The Partisanship environment. The legislature must work across the aisle to address issues in a bipartisan way. Solutions that take into account more than one point of view are more sound and are more accepted by a broader scope of Arizonans. Yes, the state should accept the $56 million. These funds could be put to use in Arizona to create jobs and grow the economy. $56 million dollars could have been authorized to expand programs that provide child care subsidies for working families, programs that already exist but are dramatically underfunded. Families that currently don't use child care services would then be able to afford them. These funds could have supported small businesses that provide child care services to working families in Arizona. Democrats offered an amendment to the budget (general appropriations act HB2665 Powers Hannely) that would have authorized DES/DCS to spend these funds. The amendment failed on a party line vote. The Republican majority indicated that the reason these funds weren't appropriated was that DES/DCS did not have a plan on how to spend them. The Democrats argued that they could be used to support programs already in place to expand the number of people using these programs. Family members that take in a relatives children when these children are removed from a parent's home should get more support from the state. By taking these children into their homes these families are unburdening DCS and the state from these responsibilities. I believe there should be a mechanism for families to receive far more than just $45/month (which is less than 10% of what a foster parent is paid). Family I married Jim Hannley in 2011. Between us, we have four grown children, two grandchildren, an Australian cattle dog, and three cats. Work history 2016-present: American Journal of Medicine, social media editor, Tucson. 2004-2016: American Journal of Medicine, managing editor, Tucson. 1998-2004: Arizona Smokers Helpline and Related Internet and Evaluation Services (University of Arizona), Program Director, Tucson. 1996-98: Family Sun Safety Program of the Behavioral Medicine Section of the Arizona Cancer Center (University of Arizona), Research Specialist Senior, Tucson. 1990-1996: Arizona Cancer Center Communications Office (University of Arizona), Editor, Tucson. 1986-92: Powers/Queen Associates, self-employed writer, photographer and graphic designer, Tucson. 1982-86: Arizona Electric Powers Cooperative, information specialist, Benson. When I ran for office in 2016, I said I wanted be your voice—the voice of the people—in the Arizona Legislature. And that is exactly what I did. I used my voice, my votes, my amendments, and my bills to fight for the rights of workers, patients, teachers, students, women and the underserved. I fought against bad bills that would weaken workers compensation laws, pave the way for risky investments of state pension funds, or deregulate financial products and contracts. And I voted against every tax giveaway. If we want to fully fund public education, we have to stop giving away tax dollars. It’s time for the Arizona Legislature to fund the People’s To-Do list--education, healthcare, infrastructure and safety and security. Creating good-paying, full time jobs in these sectors is economic development. As a Progressive Democrat and a Clean Elections candidate, I want to continue to do the people’s work in the House. Please support my re-election. No, I don’t support Gov. Ducey’s 20x2020 plan which was phased in with the most recent budget. I agree with the Red for Ed movement. Red for Ed asked for a more comprehensive education funding package (not just teacher raises). We should be funding raises for teachers and support staff and maintenance for the school buildings. That funding should dedicated and reliable. The Republican budget is a collection of 50 fund transfers and several more “efficiency savings.” Where will the teacher raise funds come from next year? Will the same departments and services take hits every year to fund 20x2020? I think public education funding should be restored to pre-recession 2008 levels. Our current system of budgeting is not sustainable. We can’t continue to cut taxes and balance the budget with shell games and backroom deals made by one political party. We can’t continue to give taxes away at the current level—let alone consider further tax cuts in the future. The Legislature should review all of the tax exemptions, tax cuts, tax credits, and any other tax giveaways by different labels. Unnecessary tax giveaways should be repealed. In 2018, both my LD9 seat mate Dr. Randy Friese and I proposed bills that would have eliminated selected tax giveaways or added sales tax to items currently exempted. If we ever want to fully fund public education—and other important state functions like infrastructure—we must eliminate some of the tax giveaways and place a strict sunset date on any new tax giveaways that are proposed. As long as the schools are underfunded, I will vote against any new tax giveaways. As a state, we can’t afford to continue on our current fiscal path. No. More transparency in finances, operations, admissions and familial relationships within the corporate structure is needed. There should be a level playing field between charter schools and public schools. Yes, I support stricter gun laws. I support banning bump stocks, instituting universal background checks, and closing the gun show loophole. I believe that raising the minimum age to 21 would be difficult to manage and enforce—given the rural hunting traditions and the percentage of young active duty and discharged military personnel in Arizona. Besides the items listed above in the previous question, we should look at prevention—instead of focusing on hardening the target in schools. We should incentivize gun owners—particularly parents—to store their guns lock and unloaded. Removing ready access to loaded weapons can reduce gun accidents, suicides, and intentional harm perpetrated during a fit of rage or mental instability. I also believe that we should have more counselors—not more guns in the schools. Teachers should have professional development training to recognize student distress, bullying, and other behaviors. No. Arizona is underwater on its mortgage. We give away more than $13 billion in taxes and leave only $10 billion to run the state. If we’re serious about fully funding public education and other important state functions, we have to stop giving away taxes. Yes. Marijuana has been used safely as a medicinal remedy for centuries. It is a plant that never killed anyone. Millions of Americans use marijuana illegally; this shows that our laws are out of step with the people. Arizona has some of the most stringent marijuana laws. People’s lives are being ruined because they have been imprisoned for low level drug offenses like possession of marijuana. We should legalize marijuana and shift those enforcement funds to anti-drug efforts on opioids and other drugs that are killing people. In addition, for some people, medical marijuana has been found to be a safe alternative to opioids for pain management. This should be encouraged, not discouraged. Lastly, selling marijuana legally in Arizona would generate millions of dollars in tax revenue. No. Women should have reproductive choice. Government should not insert itself into the patient/doctor relationship. The Legislature should stop walking backwards on water policy. Although there were a lot of meetings, we did nothing proactive in the 53rd Legislative Session to address water policy. Yes. We are all people here. I don’t believe in discrimination. No. Discrimination is discrimination. Citing religion as grounds for discrimination does not make discrimination just. First, the Legislature should eliminate some of the tax cuts, tax exemptions and tax credits to free up cash to fund immediate needs like public education. We must stop giving tax breaks to multinational corporations that are not headquartered in Arizona and that don’t need our money anyway. In the long term, to grow the economy, Arizona should establish a public bank that can partner with local community banks to make low-interest loans to local small businesses, entrepreneurs and college students. This would strengthen community banks and local businesses, as well as help college students who are being crushed by tuition debt. Public banking creates a sustainable economic development loop because—instead of just giving money away—it offers low-interest loans which would provide a modest return on investment. No. I am completely against using tax dollars to fund private and religious schools. That is misuse of tax dollars. It’s the state job to fully fund public education. Period. I support Proposition 305. I support repeal of the 2017 voucher expansion program. None. Border crossing is down dramatically. There is plenty of federal enforcement at the border. From my casual observation, I believe some of the young women are not treated with the respect they deserve. The Equal Rights Amendment (ERA) has not received enough attention at the Capitol. What are the Republicans afraid of? It’s time to allow full committee hearings, full debate, and a vote on ratification of the ERA. The ERA only needs only one more state to ratify it to become an amendment to the US Constitution. Arizona could make history—instead of being known as a laggard in equal rights. 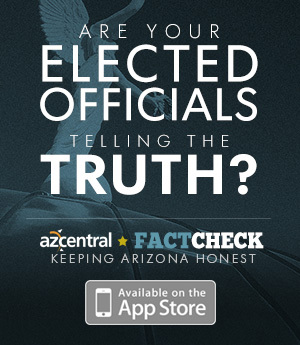 Big-money politics is the greatest threat to Arizona’s future. Too many lawmakers are beholden to their national donors and out of touch with their voters. Too many laws are written by special interest groups for the benefit those special interests. Often laws are written to benefit one corporation or even one donor. Consequently, many Arizonans feel that the Legislature doesn’t work for them, and they’re right. How am I addressing this? I support the Outlaw Dirty Money Citizens Initiative. I am a Clean Elections candidate. For two years, I have proposed expansion of the Clean Elections system to county supervisor races and to unpaid boards (like school boards). In 2018, I proposed a bill to roll back the maximum campaign donation from the $5000 per person to previous levels of $400-500 per person and another bill to increase transparency in campaign finance funding. Yes, definitely, Arizona should accept this federal aid for childcare subsidies. On budget night 2018, I proposed a budget amendment to use these federal funds. Arizona is the only state that didn't take this money and use it to help those in need. During the Great Recession, the Republicans cut $80 million in childcare subsidies for the poor; none of these funds have been restored. Coupled with the tiered reimbursement for childcare bill that the Legislature passed in 2018, these federal funds would have helped many Arizona families. We should accept the funding in 2019. I was shocked to hear of the disparity between payments made to family members who are caring for a child vs payments paid to foster care providers. I look forward to learning more about this issue during future Health Committee Meetings and weighing strategies to level the playing field. Children should be placed with family members first.